/ Modified may 10, 2018 3:50 p.m.
As Arizona schools get ready to wrap up the school year, districts in Pima County are handling how schools plan to make up the instructional hours lost during a teacher walkout. State law and district policies require that — for any day a school is closed for reasons other than a scheduled holiday or school activity — the lost instructional hours must be made up either at the end of the year or sometime throughout the regular school calendar. Many Pima County districts say they will meet the number of instructional hours required despite closing for the teacher walkout, which lasted six days. Here is the response from each school district in Pima County. Superintendent Doug Wilson told all Marana Unified School District families in a statement that the district decided it will not have to extend the school year. “We have calculated the instructional hours in our current school year calendar, and have determined that we have sufficient number of instructional hours required by state law. Therefore, the school year for K-12 students will not extend beyond the last day of school on Thursday, May 24,” Wilson said in his statement to parents. TUSD will end its school year on time according to Michelle Valenzuela, a spokesperson for the district. She says after analyzing each school's bell schedule to calculate instructional minutes, schools that were short added time. Warren Elementary school dismissal is now 2:49 p.m. and not 1:55 p.m. for all days of the week except Wednesday. That day has a different schedule, and will extend dismissal from 12:55 p.m. to 1:49 p.m.
Other schools like Manzo, Bloom and Sabino shaved minutes from morning announcements and lunch, according to Valenzuela. Seniors at Sabino High School who have been enrolled in four classes all year have had two hours added to each day to make up for instructional time. In a letter to families, Sunnyside Unified School District said no schools would have to extend the school year. "After running a full analysis of our instructional time, we have concluded that there is no need to extend the academic year at any of our schools," Victor Mercado, director of public information, said in the letter to parents. Amphitheater Public Schools will not have to extend the school year according to Amy Sharpe, a spokesperson for the district. "The last day of school for students will remain as scheduled on Thursday, May 24," Sharpe said in a press release. In a press release from Superintendent Mary Kamerzell, students, parents and employees were notified that the school calendar will end on its normal schedule, May 23. The TVUSD Governing Board voted to extend the school year by two days last night. On May 24 and 25 students will attend class for a half day while staff is required to stay for a full day. In a letter from the superintendent to TVUSD parents, the district also made early release days regular school days and changed finals week schedules for high schools. The Flowing Wells School District superintendent's office said the governing board voted to extend the school year by two days since they were closed during the teacher walkout. Spokesperson Gaye Roznovsky says no schools in the Vail School District will have to extend the school year. 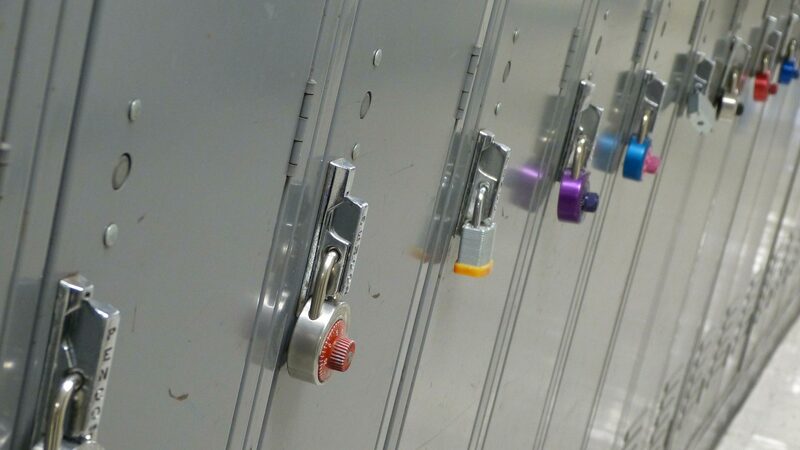 "Fortunately, we will be able to accumulate enough of the legally required annual minutes at all of our schools by the end of the school year," Roznovsky said. Baboquivari Unified School District does not have to extend the school year calendar for the one day of school missed during the teacher walkout, according to Ben Sabala, a spokesperson for the district. Students enrolled in the Pima Joint Technical Education District (JTED) will not have an extended school year because the district has enough minutes to satisfy the state's minimum requirements for instructional minutes, according to Greg D'Anna, Director of Public Relations for Pima JTED.